(Sorry to be AWOL for a bit, but I’ve been to Malaysia for the IBBY Board meeting, part of my duties as co-editor of Bookbird. What a trip!) Now, Labor Day has come and gone and surely everyone is back to school by now. 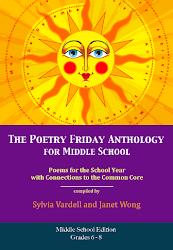 It’s a good time to break out the school-related poetry—one of my favorite topics for sharing with kids, since it’s their day-to-day world for nearly the first two decades of their lives. 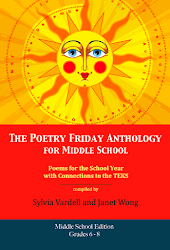 And I’m pleased to plug a new collection by Betsy Franco that is written to be performed by two voices—with suggestions for even more creative performance options. It’s Messing Around the Monkey Bars and other School Poems for Two Voices, an engaging picture book collection illustrated by Jessie Hartland (Candlewick, 2009). 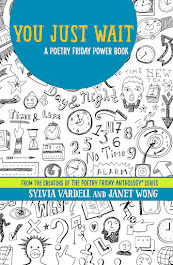 Franco presents 19 poems, each in spunky double-page spreads printed in colorful crayon shades on extra thick paper. Hartland’s gangly story-like art suggests two-dimensional drawings kids would create and the big fat friendly font is extra readable—along with Franco’s explanation of the regular, bold, and italicized-bold fonts for each voice in the reading. 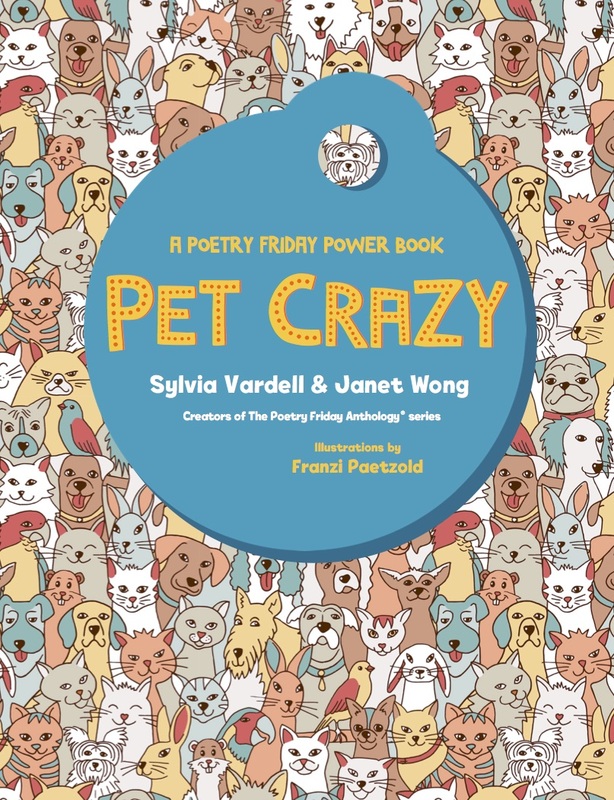 Franco’s jaunty rhythms are well suited to reading aloud and she has designed these poems well for the back-and-forth of two voices or two groups. She also takes the child through the school day from riding the bus in the morning through the noisy and quiet classroom moments, to library time and lunch time, to breaks for recess/PE, and a bike ride home. There’s even a clever poem about the Lost & Found! Both (or all) read the bold italicized text. Franco, Betsy. 2009. Messing Around the Monkey Bars and other School Poems for Two Voices. Ill. by Jessie Hartland. Cambridge, MA: Candlewick, p. 18-19. Isn’t that clever? Additional performances could add pantomiming or motions to indicate body parts. Or research the ASL (American Sign Language) signs for signing the poem. 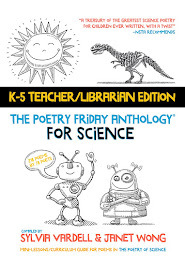 And although Hartland depicts each of these personified images around the perimeter of the poem, I know kids will enjoy drawing or creating their own dozen classroom creatures with humanized anatomy! 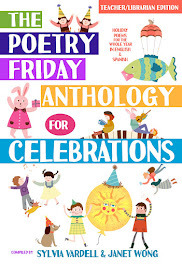 Although the look and the sound of the poems will have quick appeal to young children just starting out in school, the poems are also full of poetic devices that can serve as playful examples for older kids, particularly for onomatopoeia, as well as models of different poem forms. 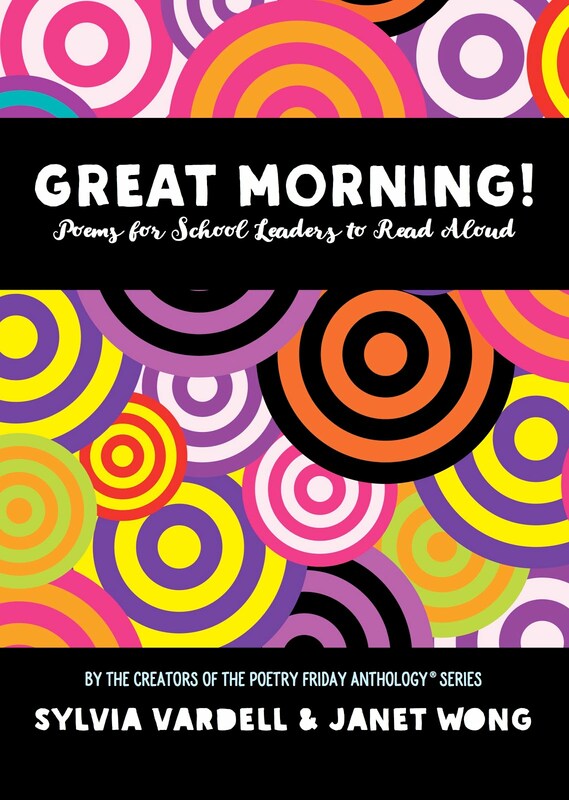 Pair this collection with another new 2009 release, Laura Purdie Salas’s Stampede, Poems to Celebrate the Wild Side of School. 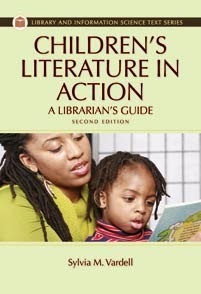 Also look for Marilyn Singer’s First Food Fight this Fall, about the school year from the voices of children. 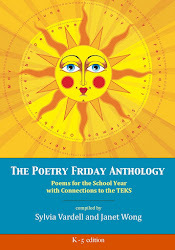 Two other 2009 anthologies that include several school-focused poems include J. Patrick Lewis’s Countdown to Summer: A Poem for Every Day of the School Year and Karma Wilson’s What's the Weather Inside? 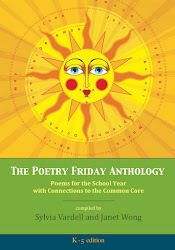 And just search for “school” to see more blog postings about school-related poetry—it’s a regular topic. 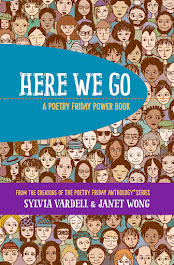 Hope the new school year is great—and full of poetry—for all of you!